Louisville, Ky. — UofL Cycling and UofL Triathlon have historic weekend, earning three wins, two podiums, and two top-10 finishes simultaneously. Mark Renn earned wins in the Down Hill and Four-Cross disciplines in St. Louis, Mo. 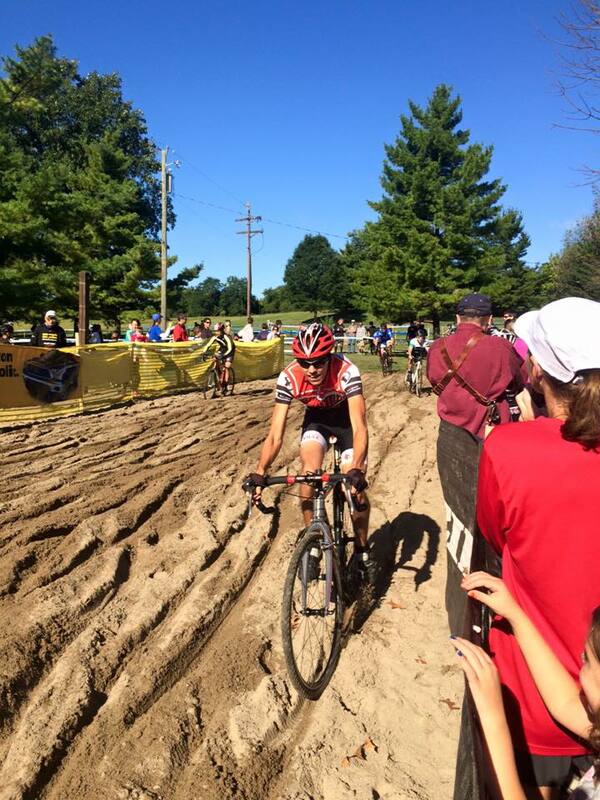 while Rikus Van Zyl rode to the top spot in a cyclocross race in Cincinnati, Oh. 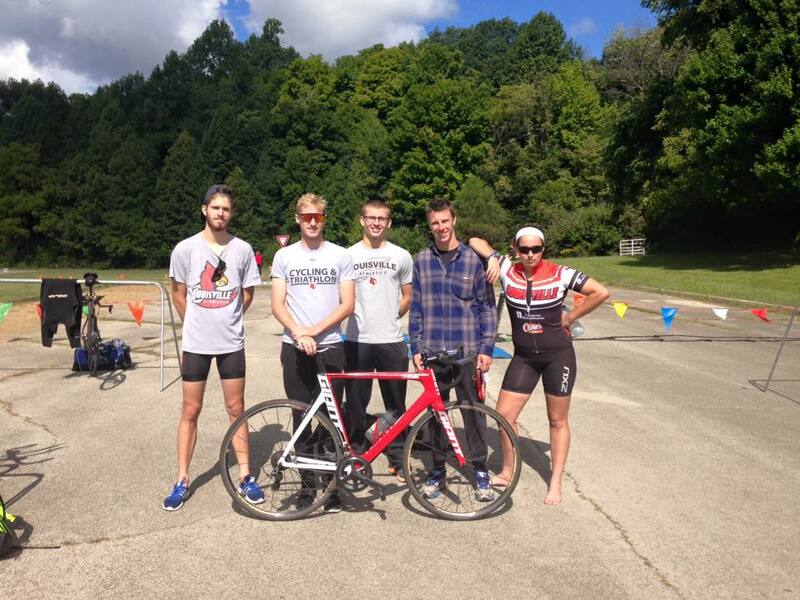 UofL Triathlon earned two top-10 finishes in Dayton, Oh. Mark Renn opened up the MWCCC collegiate mountain bike season with dominating wins in the B class downhill and dual slalom events hosted by Lindenwood University. Renn’s downhill time of 2:52 would have placed him in 4th in the A class, a handful of seconds outside the podium. 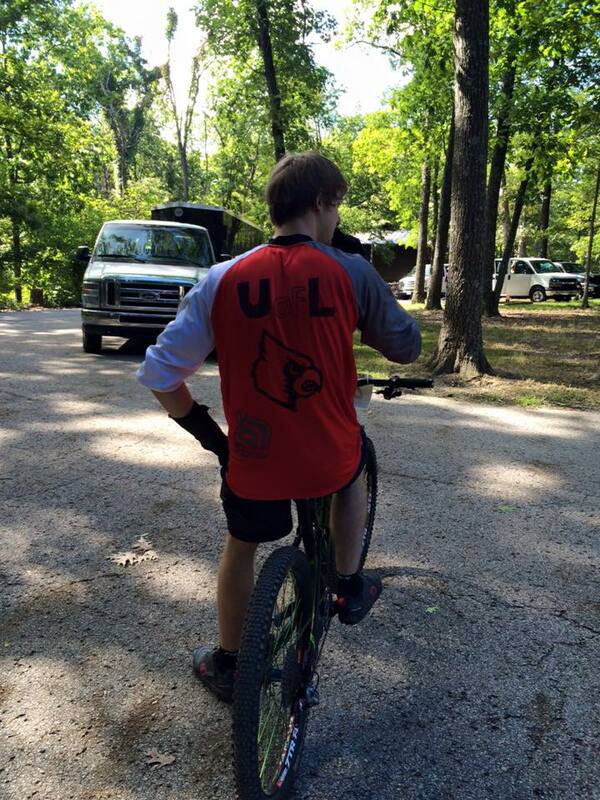 Renn is trying to become the first Cardinal to qualify and compete in the USA Cycling collegiate MTB nationals. To see the full MTB results, click Here. In Dayton, UofL Triathlon competed in the University of Dayton Sprint Triathlon. Mike Baird led the Cardinals with a 4th place finish, gaining time on his opponents with the fastest transitions in the top-5 finishers. Newly added athlete Nick Reader sprung ahead into 6th place overall with the second-fastest run of the day, averaging 5:29/mile. Emma Coakley continues to outswim the competition, finishing the first leg 1st in the women and 4th overall. She went on to finish 10th in the women’s field. Evan Cruson and Sam Dugan finished their first triathlons for UofL Triathlon 24th and 29th respectively with breakthrough bike legs. To see full Triathlon results, click Here. The UofL Cycling cyclocross initiative hit the season opener in Cincinnati successfully with Rikus Van Zyl winning the Cat 5 race while Jacob Holtgrewe rounded out the podium in 3rd. John Francisco finished 3rd in the Elite/1/2 race while equipment troubles dropped Ben King to 49th in the same race. To see the full results of Harbin Park, click Here. This is the first time the SCC has been split into three races in three disciplines. Rikus Van Zyl rides through sand in Harbin Park.